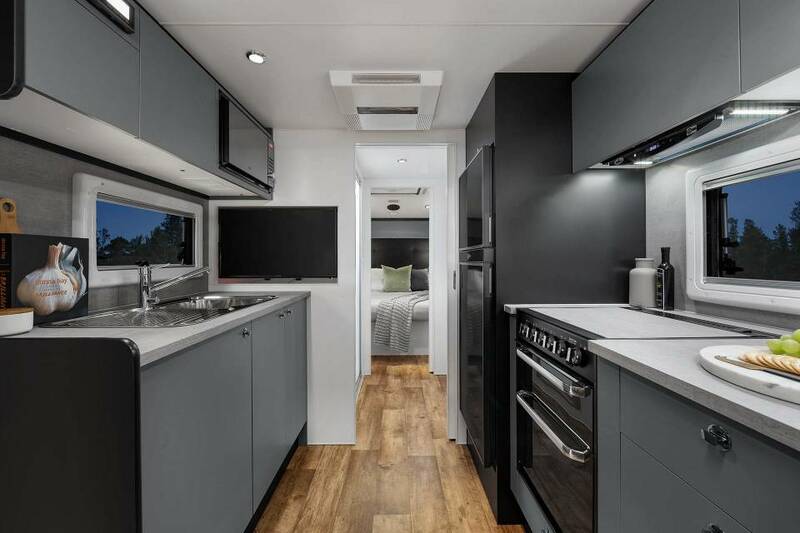 The pinnacle of off-road touring, the Trooper raises the bar for luxury styling and performance – in the Outback, coast or country. 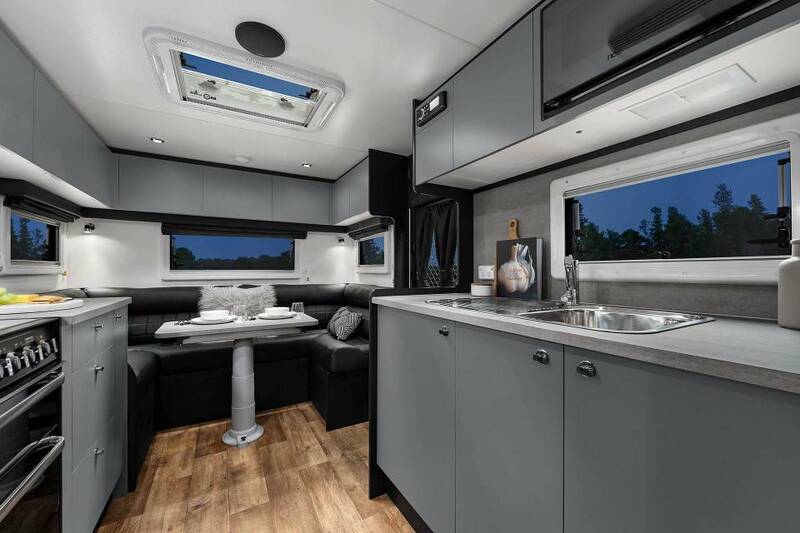 The all new 15th anniversary Trooper is Australia’s premier off-road caravan and it’s on the hunt for adventure. 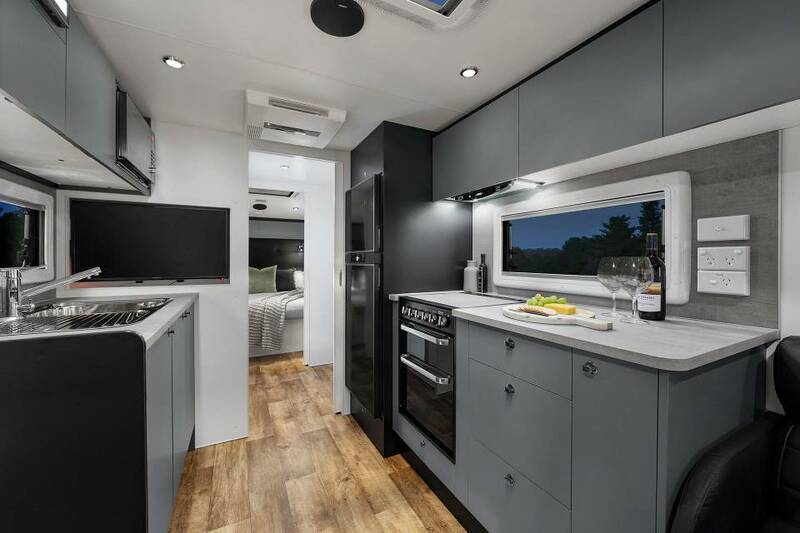 It comes ready-built to attack the landscape with German-made composite panelling to fight off debris, over 200 litres of water storage and four solar panels to just keep going and going. It’s the van that can’t be stopped! 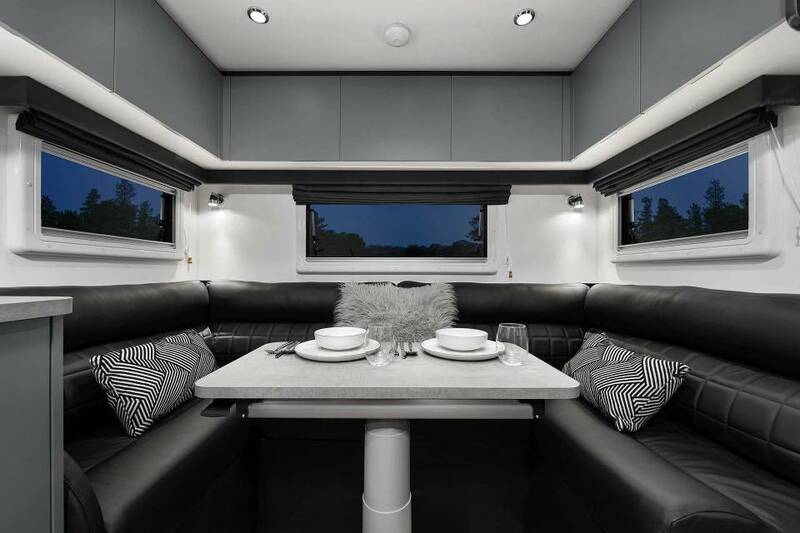 Outside, this van may look like it’s ready to battle any condition but inside are all the hallmarks of a Lotus Caravan luxury designed interior including top-of-the-range Laminex Diamond Gloss laminate bench tops, reinforced door hinges and an Italian leather lounge suite. 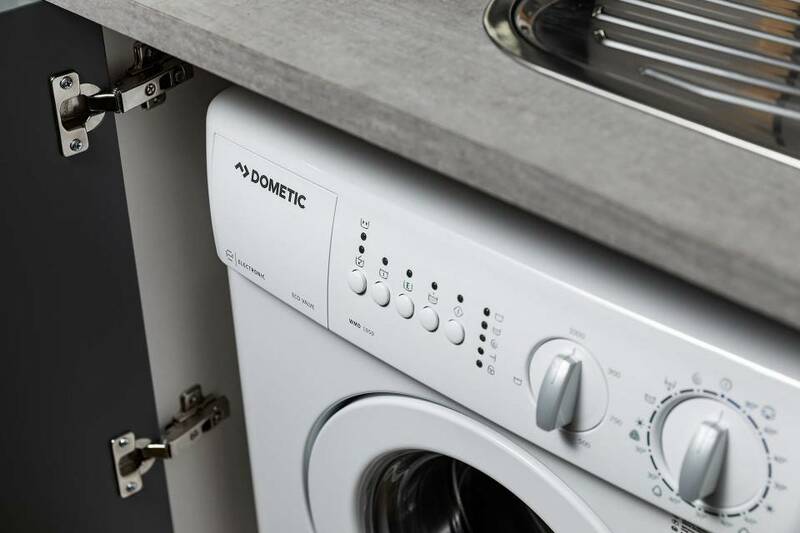 Appliances like the Thetford oven and new Dometic 12v fridge make for the most comfortable off-road lifestyle imaginable. 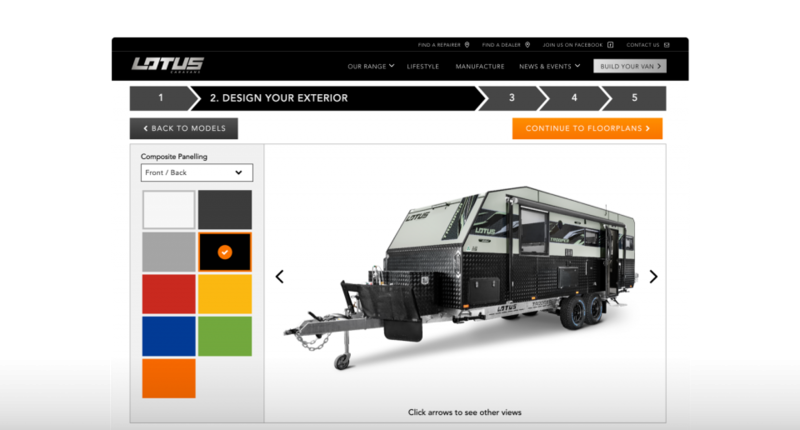 Lotus Caravans, in partnership with industry leader G&S Chassis, has designed a revolutionary truss system chassis which helps cut weight to allow increased durability for this off-road beast. Control Rider Twin Shock Suspension and upgraded shockers handle every bite from the landscape while the all new disc brakes deliver optimum performance in the most difficult terrain. 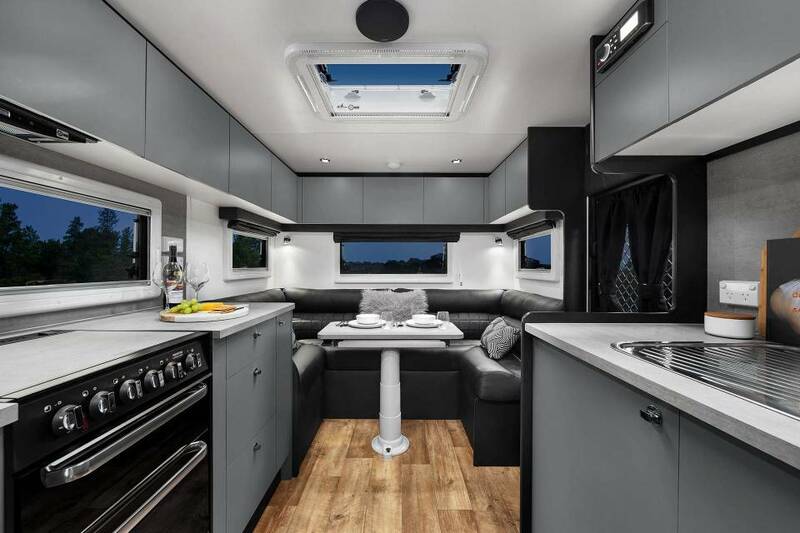 Available in eight floor plans, ranging from 18’9” to 22’, the Trooper can be customised to meet your specific needs. 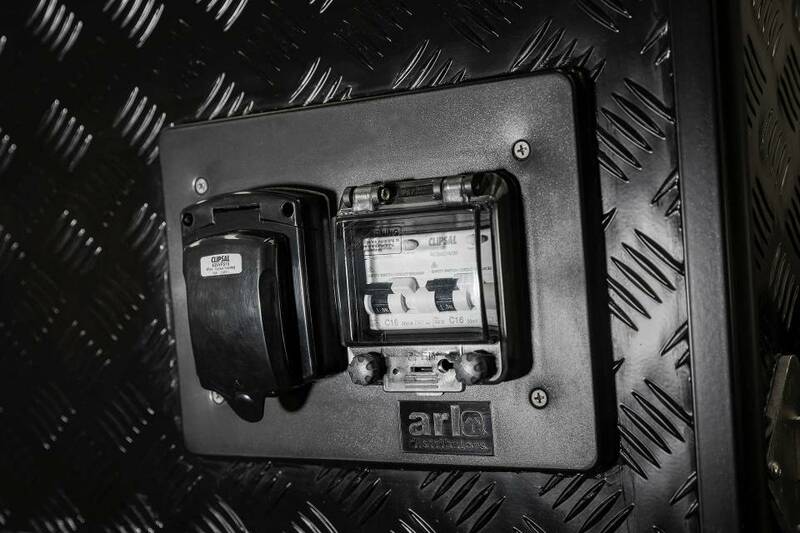 With a power system fed by 200 amps of lithium power, driven by a REDARC Inverter 2000 watt battery management system and 680 watts of solar power, this van sets new limits. 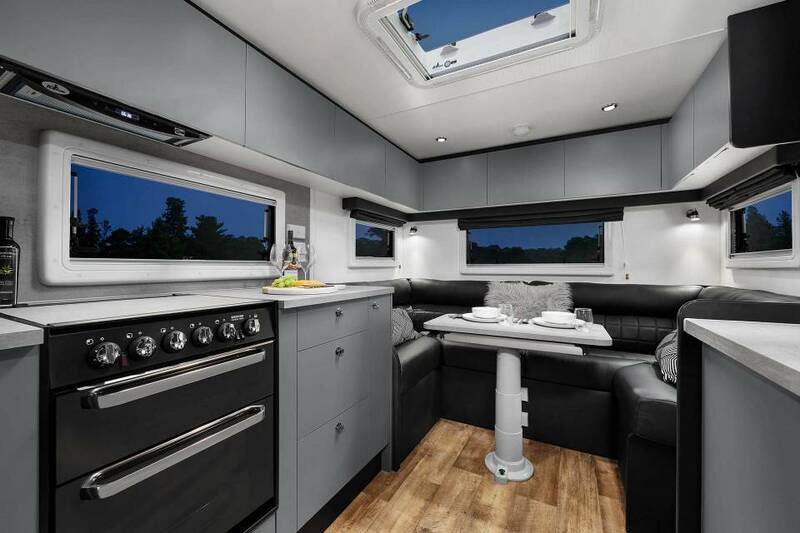 The Trooper also features front and rear work-lights, a reversing camera and Anderson plug for additional portable solar panels while the push-button resettable fuse panel has been added as a fantastic safety feature. 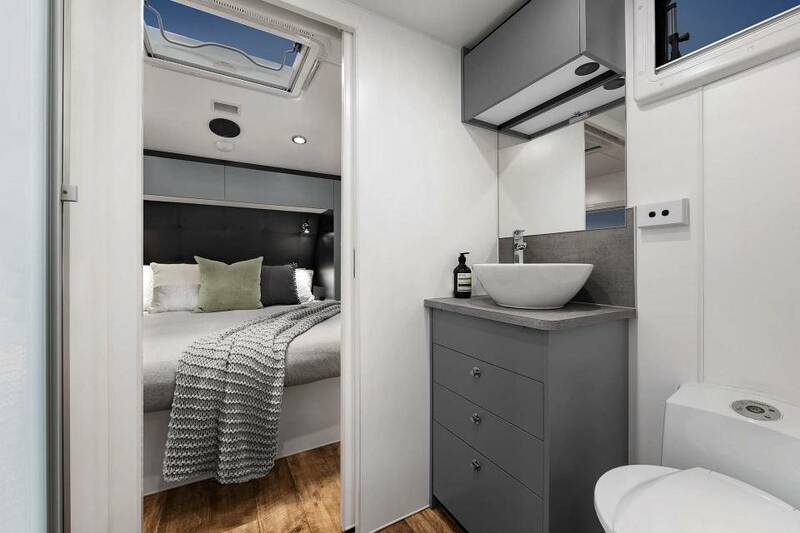 Available in a choice of layouts and sizes, there’s a Trooper to suit your needs, so you can travel in comfort, with the confidence that you’re towing a van that’s as durable and reliable as it is elegant.